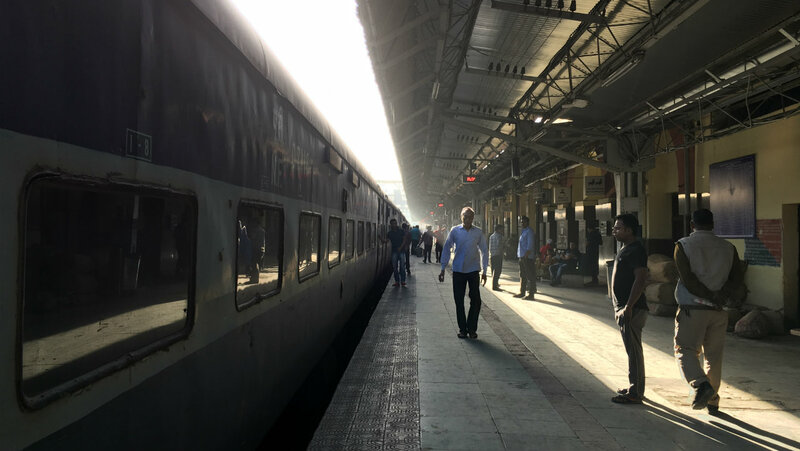 With less than a fortnight to go before the first ballots in the 2019 Lok Sabha elections are cast, I embarked on a 2,735-kilometre journey through India with a single-point objective — to sense the mood of the nation. Cutting across regions and demography of the diverse country, the best way to accomplish this was to get on to a train. With traders, labourers, men, women and children, old and young, families getting on and off the train at regular intervals, the sample set of people on board the Guwahati Express was adequately diverse. I hopped onto the train — one of the longest train journeys in India — on a foggy Friday morning at the Lokmanya Tilak Terminus (LTT) in Mumbai, Maharashtra. The winter was on its way out and with much surprise, the train whistled away on time. The chosen route took me through seven states — Maharashtra, the ‘Hindi heartland’ states of Madhya Pradesh, Uttar Pradesh and Bihar, the eastern states of Jharkhand and West Bengal and finally Assam in the Northeast. North-bound from Mumbai, the train took me through Kalyan in the Mumbai Metropolitan Region (MMR). This was followed by Igatpuri, Nashik, Manmad and Bhusaval in Maharashtra. Vidya, a young IT professional from Mumbai, was travelling to the Northeast for a vacation with her family. This sentiment resonated with a group of youngsters, boys and girls, who were also travelling from Mumbai to the Northeast for a vacation. All of them, engineers by profession and less than 30 years of age, were now working with private companies. In what seemed like herd mentality, all of the eight said they were satisfied with what the BJP government had done so far. They credited Prime Minister Narendra Modi for the Indian Air Force (IAF)’s air strikes on Jaish-e-Mohammad (JeM)’s terror camp in Balakot, Pakistan in February and said it represented a “New India”. However, they said the government had failed to create employment opportunities for the youth. They also had high expectation from the government regarding quality of education and women’s safety. They felt the education curriculum was outdated and lacked practical teaching. “We graduated and got jobs. But, then we realised we did not have enough practical experience. This should not happen,” said one of the girls. By then, I had reached closer to Nashik — a town in northwest Maharashtra known for its grapes and now famous for its vineyard. Naveen Kaushal, a Mumbai-based garments dealer, said he was impacted by demonetisation and implementation of the Goods and Services Tax (GST). “The market is suffering because of demonetisation and GST. 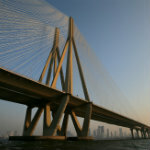 There is a liquidity crunch in the market," he said. “It does not matter to us if BJP or Congress wins. They are all the same, just power hungry," he added. “The middle class will suffer the most." Kaushal’s colleague, who hails from Lucknow, Uttar Pradesh acknowledged that some of the government’s policies had impacted their business. But he quickly said his hometown had undergone a “transformation” in the last two years under the BJP government. Soon, the rugged landscape made way for greener pastures as I crossed over from Maharashtra into Madhya Pradesh. By then, the sweltering heat had also given way to light breeze. The Bharatiya Janata Party (BJP) had lost the Assembly election to the Congress in a one-on-one battle in late 2018. The major halts in MP were Burhanpur, Khandwa, Itarsi, Jabalpur and Satna. However, he conceded that the middle class and farmers had been hit by some of the government’s decisions. “I come from a farmer’s family. So, I can tell you that there is distress. 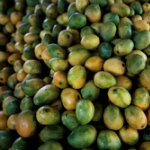 We are not getting the correct price for our produce,” he added. The train crossed over into Uttar Pradesh overnight. With 80, UP has the largest pool of Lok Sabha seats for any state —significantly more than the second highest Maharashtra with 48. This is because of the sheer size of the state. The population is more than that of Russia and Colombia put together. 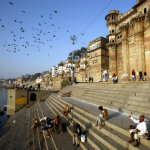 It is often said the road to New Delhi runs through Uttar Pradesh. 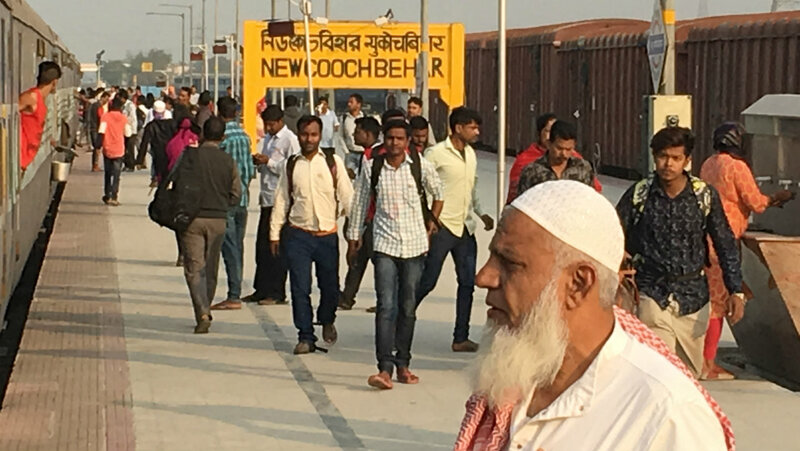 Just before daybreak, the train pulled into the first stop in the state — Allahabad Chheoki. This major railway station is situated just on the outskirts of the holy city of Prayagraj (erstwhile Allahabad). Two middle-aged men, who were waiting for their train at the station, said the BJP government had worked well for the poor and benefits were reaching the last person. But, they said Modi’s performance had “fallen short of their expectations”. They refrained from commenting on Chief Minister Yogi Adityanath’s performance, saying it was too early and only time would tell. “It has just been two years. We should give him (Adityanath) time. We will see what he accomplishes,” one of them said. By the time I reached Mirzapur, the heartland was waking up to the sound of the azaan. And the near two-hour journey from Mirzapur to Mughalsarai was a treat for sore eyes. It was a picturesque countryside with the rays of the morning sun falling on the expansive green fields, people cutting across them holding steel water canisters. Uttar Pradesh is striving to become open defecation free (ODF) by October this year. The train pulled into Pt Deen Dayal Upadhyay Junction (erstwhile Mughalsarai Junction), a short drive from Varanasi — the constituency of Prime Minister Narendra Modi. Mughalsarai falls under the Chandauli constituency. Rajesh, a chaat vendor at the station, asserted that PM Modi will retain Varanasi but was not sure how things would pan out elsewhere. “There has been quite some work but people are still in distress,” he said. When asked him if the Samajwadi Party (SP)-Bahujan Samaj Party (BSP)-Rashtriya Lok Dal (RLD) alliance will stall BJP’s prospects in the state, Rajesh said the Mahagathbandhan has turned the situation into “50:50”. There were also people who appreciated CM Adityanath’s performance. One of them was BM Pandey, who said good work was happening and had picked up pace in Uttar Pradesh. However, he cautioned that “if development was to happen, the caste system should be broken”. The mood in Uttar Pradesh is clear: Most people said while the BJP had done satisfactory work, it is unlikely to sweep the polls as it did in 2014. 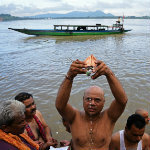 My journey continued along the river Ganga. The train during this stretch of the journey was largely slow, topping at 22 stations in Bihar. 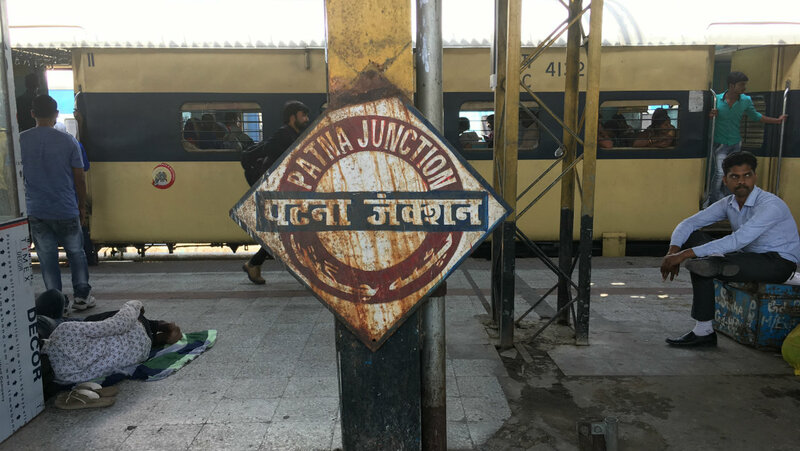 At one point, the train stopped after a gap of seven and 11 minutes — making it perfect for people travelling from various towns of the state to capital Patna. Some of the key towns included Buxar, Arrah, Patna Junction, Luckeesarai, Kiul, Jamalpur and Baghalpur. Arvind, a fruit seller at Patna Junction station, made a big prediction: Chief Minister Nitish Kumar will lose the next assembly election. “He (Nitish) disrespected the mandate given to him by switching sides,” he said, referring to the Bihar chief minister’s decision to abandon Lalu Prasad Yadav’s Rashtriya Janata Dal (RJD) and Congress in July 2017 and instead form government with the help of the BJP. In 2015, the alliance had defeated BJP. In fact, he went one step further to declare that former deputy CM of Bihar and Lalu Prasad Yadav’s son Tejashwi Yadav will be Bihar’s next CM. However, Arvind said the BJP-led National Democratic Alliance (NDA) will do well in the Lok Sabha polls because of India’s action in response to the terror attack in Pulwama, Jammu and Kashmir. He also said Nitish’s decision to impose prohibition of alcohol in Bihar was good. Many people, including women, said prohibition was necessary. However, they conceded that it was easy to get hold of alcohol illegally. A lady, who refused to be named, said: “Ye (alcohol prohibition) toh bahaut accha hua hai. Lekin jisko chahiye, usko toh mil hi raha hai (It has been very good. 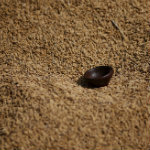 However, the people who want it are getting it anyway).” Her husband nodded in agreement. Abhay Kumar, a retired public sector employee, was also of the opinion that Nitish was likely to face drubbing at the ballot. “If he (Nitish) manages to win anything, it will be only because of BJP’s good will,” he added. 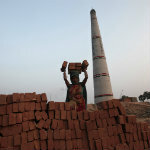 Taufiq Alam, a labourer travelling to Kishanganj, said the government at the Centre failed to deliver on its promises. “I can’t say who will win. All I can say is that Modi has not worked,” he added. As the sun set over the hinterland, the endless farmlands gave way to the hills near Jamalpur. 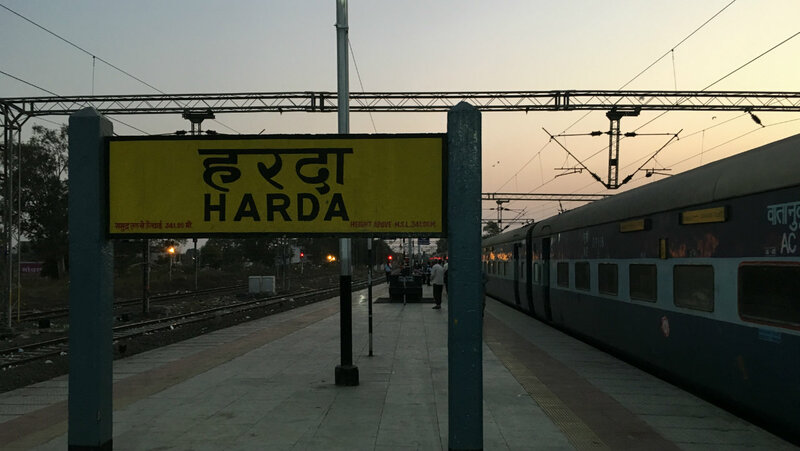 Shortly after dusty Sahibganj in Jharkhand, the train turned south towards New Farrakka, West Bengal and around midnight touched Malda Town — the first major halt in the state. Malda is situated close to the Indo-Bangladesh border and has a sizeable Muslim population. With the BJP set to make losses in the northern states, it is hoping to offset some of those losses in eastern India. Hence, West Bengal is at the heart of BJP’s expansion plan. Malda is expected to be one of the points of confrontation between Mamata Banerjee’s Trinamool Congress (TMC) and the BJP. He also said he was satisfied with the work done by the TMC. Sami-ul-Islam, who hails from Malda, expressed satisfaction towards the TMC government and said BJP does not stand a chance in the state. “BJP won’t do well in Bengal. 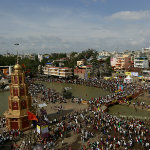 Mamata has done good work and provided so many facilities,” he said. But, there were some who were not satisfied with the TMC government and felt the Modi government was doing well. A cancer patient travelling from Mumbai to his home town in Cooch Behar, said he was not able to avail the benefits of central government schemes as “Mamata has blocked them”. He pointed out that West Bengal had also pulled out of the Ayushman Bharat healthcare scheme. Bengal, however, has its own healthcare schemes such as the Swasthya Sathi. The man, who did not wished to be named because of his health condition, said people in northern regions of West Bengal were feeling left out. With a crescent moon shining in the night sky, the train screamed through the Siliguri Corridor where, at some point, the Indo-Bangladesh border was less than a kilometre away. The first stop on Day 3 was New Jalpaiguri, a common disembarkment point for people travelling to Darjeeling and Sikkim. I could see parents drag their still-asleep kids on the station platform at around 4.00 am. The journey continued towards Cooch Behar and Alipurduar — the northern towns of West Bengal before we crossed over the Sankosh River in Assam. Travelling on the northern banks of the mighty Brahmaputra, I touched New Bongaigaon, Barpeta and Rangiya. The route has countless railroad level crossings and picturesque grazing fields as far as the eye can see. These are the most densely populated regions of Northeast after the state capitals there. Rajib Singh, a young private sector professional from Sivasagar, Assam said the BJP governments at the Centre and the state had “done a lot of work”. “Most importantly, there is stability in Assam. There are no riots anymore,” he said. When asked what he felt about demonetisation, Singh said, “It was a good step taken by the government, but may not have been a total success." Finally, a leap over the famous Saraighat Bridge and the train pulled into the Guwahati Junction Railway Station a minute ahead of its scheduled arrival, corroborating what some people said — at least “the trains run on time”. Kartik Dey, a Bengali from Dibrugarh, said “unemployment remains a major problem” in his village. However, he said “given five more years, Modi can tackle the problem.” Overall, he expressed satisfaction with the Modi government. An owner of a small restaurant in Guwahati’s famous Paltan Bazaar said “the BJP has done well for Assam”. He also expressed satisfaction towards the Sarbananda Sonowal-led government. Asked about the Citizenship (Amendment) Bill and its impact on the election, he said the bill could “trouble the BJP a bit” but the saffron party will remain ahead in the polls. “The AGP (Asom Gana Parishad) will have a problem because of its flip-flop,” he added, referring to the party’s initial protest against the Bill and later returning to the BJP fold. Jintumani Saud, a cab driver in Guwahati, felt that the National Register of Citizens (NRC) was introduced to keep outsiders out and it would not have a major impact on the elections. However, he added that “all politicians at the top are bad. I don’t know what is going to happen. Politics bahaut gandi cheez hai (politics is a very dirty thing)”.